Keeping UVs in order can help when working on large scale projects where there are a mass of different UV Sets. This tool is used to map out UVs in Maya. In it you can find all the tools needed to complete a UV layout. This documentation will go over some of the more useful tools found in the UV Texture Editor. 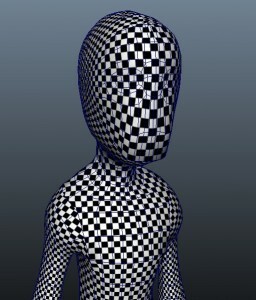 A: Smooth UV Tool – Unfolds UVs to lay out flat, will only work properly if physical mesh would be able to roll out flat. B: Separates UVs along selected edge – Able to cut mesh where needed to separate without re-projection. C: Sew selected edges or UVs together – Connects UV edges together to provide seamless texturing. 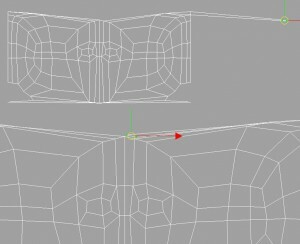 Meshes imported from various CAD packages may not have UVs. To check if UVs exist, first select the object. 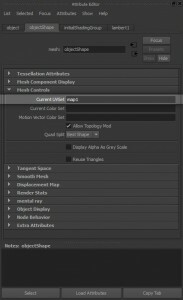 Open the Attribute Editor and select the objectShape tab and select the Mesh Controls drop down. 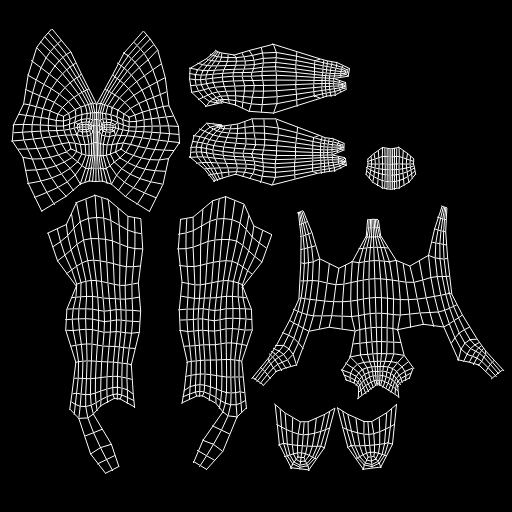 If there is no title in the Current UVSet box then UVs do not exist for that mesh. To create UVs, use the tools found under the Create UVs menu. I’ve found the easiest and fastest way to lay out a mesh flat is to planar map by mesh area. Mapping out front to back, different segments (i.e. arms, legs, chest to back) then sewing together edges later will make unfolding the mesh much smoother, and give you more freedom of where the lay seams. It’s important to keep UVs together as much as possible to aid the texture artist’s task of eliminating seams. More often than not when first projecting UVs, outliers will occur and will need fixing. Instead of re-projecting this section of the model and editing the projection settings, move the stray UVs to where they connect. To find the connection use edge selection and select the edge outlying and it will highlight the corresponding edge. 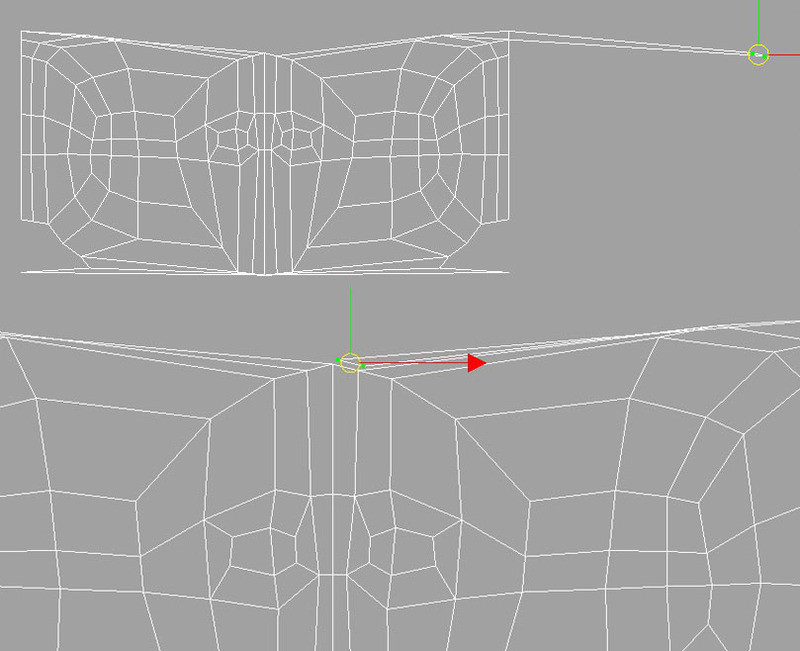 Move the UVs close to the desired position and using edge selection sew the edges together. When the model is fully and properly laid out it should lay flat. 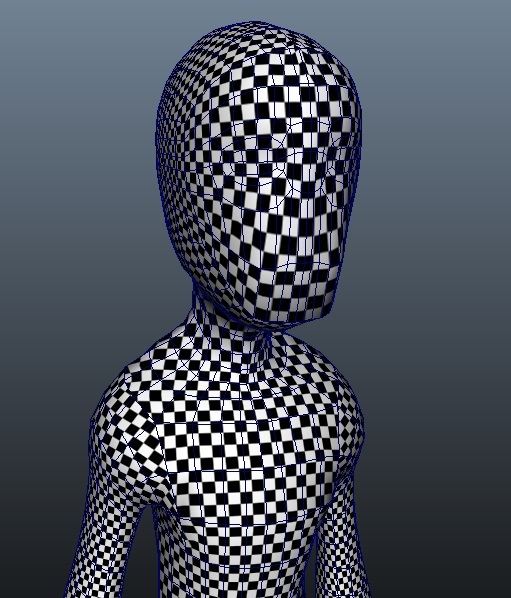 You can verify this by adding the checkerboard texture onto the character, upscaling the UVs and reviewing the size and distortion of the checkers. View the two examples below for reference. 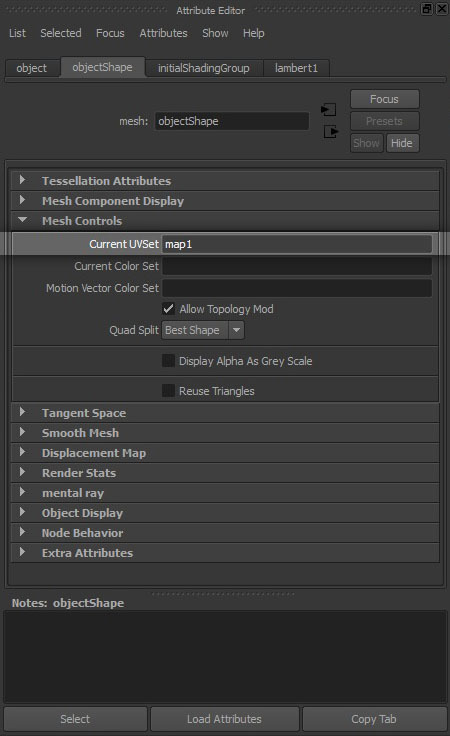 In the UV Texture Editor you will find the Polygons menu containing the five options regarding UV Set naming. 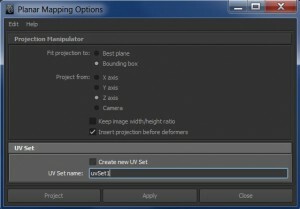 Create Empty UV Set: Allows you to create empty set then project new UVs. Copy UVs to UV Set: Allows you to duplicate UV Sets and copy UVs to existing sets. Set Current UV Set: Manually type in desired UV Set. Rename Current UV Set: Allows you to edit the name of a UV Set. Delete Current UV Set: Deletes UV Set present in UV Texture Editor. 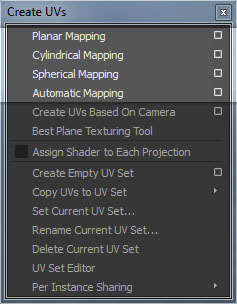 Also, when creating a new projection make sure you have Create new UV Set turned off as Previzion does not support multiple UV sets currently.